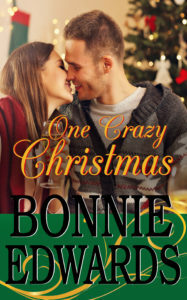 Karyn Whyte is a busy single mom of two, the owner of Whyte’s Christmas—a woman who would like to meet a convenient man—one who lives nearby, has no baggage and makes no demands. Oh, and he must like curvy women. Cade Devine’s a devoted single dad to three little girls. Sure, he’s got his hands full, but that doesn’t mean he wants to be alone. At a mutual friend’s wedding, interest flares at first sight between Karyn and Cade. Enticed and attracted, they break free of their constraints for one long weekend of passion and deeply satisfying companionship. During their three-month secret romance, they learn they’re perfect together. But there are five other hearts at stake and Karyn and Cade accept that responsibility must win over the love they’ve found. Fate can be cruel and sometimes love hurts.